The man leading President Trump's legal team forwarded an email to conservative government officials and journalists that praised Confederate General Robert R. Lee and was written by someone who runs several websites alleging conspiracy theories, according to The New York Times. John Dowd, one of the president's attorneys, forwarded an email with the subject line, "The Information that Validates President Trump on Charlottesville" whose substance was reminiscent of secessionist Civil War propaganda, the report said. "Lee is no different than [George] Washington," the email says. "Both owned slaves. Both rebelled against the ruling government. Both men's battle tactics are still taught at West Point. Both saved America. Both were great men, great Americans and great commanders...You cannot be against General Lee and be for General Washington, there literally is no difference between the two men." Dowd forwarded the email, which was written by Jerome Almon, who runs websites promoting conspiracy theories, including one about the FBI having been infiltrated by Islamic terrorists, the report said. Dowd forwarded it to more than two dozen people, the report said, including journalists at The Washington Times, Fox News, a senior official at the Department of Homeland Security and The Wall Street Editorial page. Dowd apparently appeared angry that the Times obtained a copy of the email. "You're sticking your nose in my personal email?" he told The Times in a brief telephone interview, according to the report. "People send me things. I forward them." The report said that he then hung up. Almon told the Times that he sent the email to Dowd to follow up on a phone call with Dowd from last week in which he said he called to offer damaging information about former FBI Director James Comey, the report said. On Thursday morning, the president said that he was sad to see U.S. history being "ripped apart" with the removal of Confederate monuments and statues, which he called "beautiful." 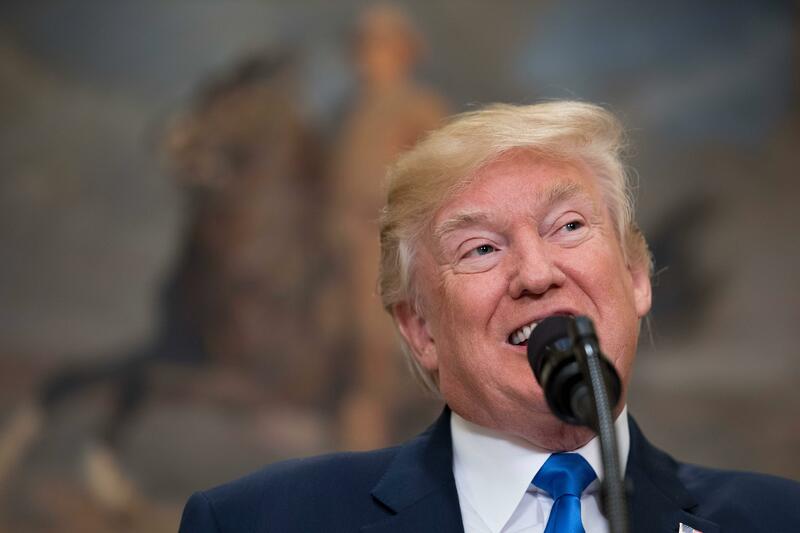 At his press conference at Trump Tower on Tuesday, Mr. Trump said that it was up to "a local town, community or the federal government" when asked whether the statue of Robert E. Lee should stay up. He then began equating Confederate statues to those of the nation's Founding Fathers. "Was George Washington a slave owner? So will George Washington now lose his status? Are we going to take down -- excuse me -- are we going to take down statues to George Washington? How about Thomas Jefferson? What do you think of Thomas Jefferson? You like him. Good," he said. "Are we going to take down the statue? Cause he was a major slave owner. Are we going to take down his statue?"